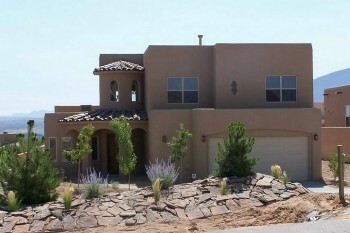 The Casa Dulce Collection was created by Home Construction and Consulting Services, LLC in 2010 as a means to provide a Higher Quality Alternative to the multitude of tract and semi-custom homes that are available in the marketplace today. 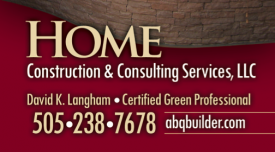 Home Construction and Consulting Services, LLC has created a reputation by constructing one-of-a-kind, high-end custom homes. However, we firmly believe that there is no reason why that Quality and Attention to Detail should not transcend Price Points and be available for everyone to enjoy. Our Clientele for these homes are those persons who want a smaller home with all of the quality of a larger Luxury Home, but without all of the square footage or potentially unused space. You may be a couple who is down-sizing for retirement, a single parent, a newly married couple, a young professional, someone who likes to travel a lot and doesn’t want a lot of home to take care of … the list could go on. We know that it is a potentially diverse group of people who will want to purchase these Beautiful Homes, but we also know that this group of people will have a commonality, and that commonality is the desire to own a Home that has been constructed with Quality, Craftsmanship and Attention to Detail. Each of these floor plans is partially customizable to meet the specific needs of the client and the dictates of the lot that the client has purchased. We believe that most people really do not have a strong desire to live on a lot that has barely enough room in the backyard to have a patio and some landscaping, slightly more than enough room to park a car in the driveway and only ten feet between your home and the neighbor, so we do not stock an inventory of lots. We believe that Your Home should be built in whatever part of town it is that you desire to live in and on whatever size lot it is that you ultimately desire. If your desire is to have a lot that is barely big enough for a townhome, then that is what you should have, and that can absolutely lead to Ease of Outdoor Maintenance. However, if your desire is to have lot that is large enough to plant your Vegetable Garden, have room to park your Boat and be large enough so that you do not feel cramped by your neighbors, then you should absolutely have a piece of property that will allow those things. We have a network of Realtors that we work with to assist you in finding the Perfect Piece of Property in whatever area or part of town it is that you desire to live in, and within your Budget. Where you want to live should dictate the location of Your Home, where a home is located should not dictate where you live. We look forward to assisting you in the Achievement of Your Goals. If you or anyone you know are considering a Home from the Casa Dulce Collection, please refer to our Specials and Promotions Page to see if any of our current offerings may be applicable for you. The Casa Dulce Collection is Realtor Protected. This functional three bedroom floor plan is efficient and has room to grow! The Base Plan has two optional Master Bathroom designs, expandable Secondary Bedrooms, an expandable Master Suite, an option to deepen the Garage, an expandable Dining Area and an optional Rear Covered Patio that can be extended too! A Perfect Home for the Efficiency-Minded Client who desires a Functional Design. This well designed three bedroom floor plan is efficient and has plenty of Storage! The Base Plan has two optional Master Bathroom designs, expandable Secondary Bedrooms, an expandable Master Suite with an optional Rear Patio Door, an option to deepen the Garage, an expandable Dining Area and an optional Rear Covered Patio that can be extended too! 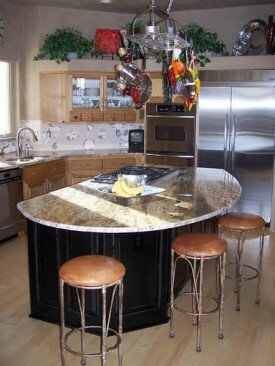 An Excellent Home for someone who desires Functional and Usable Space! This spacious three bedroom floor plan has plenty of Elbow Room! Additionally, optional beams are available for the Entry Area!